If you are a wildlife enthusiast, I am sure you would be interested in reading about rare birds and animals that live exclusively on remote islands in different parts of the world. Some of the birds, big and small animals, and even reptiles and marine life would sometimes decide to stay on the same island because they feel safe there and the availability of their prey in plenty. 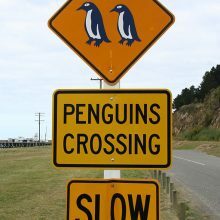 When that happens, such wildlife is called ‘endemic’ meaning they live in a particular place. They are not found elsewhere. Today, I am going to visit the Galapagos Islands again and see more birds, animals, and under-water species than what I wrote about them a few months ago. I request you to read my earlier post about the wildlife of the Galapagos Islands now before reading further. Why there are a large number of (200) species of endemic wildlife made the Galapagos Island as their habitat? I would attribute the island’s remoteness to the fact. Geologists also point out to the volcanic activities as one of the reason. 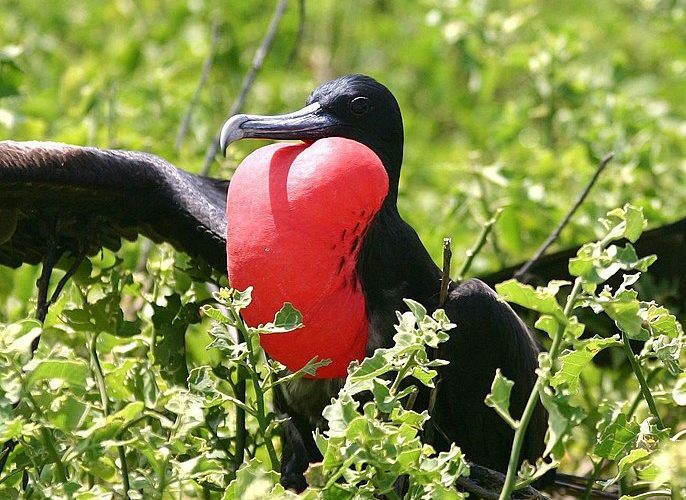 Let us now go over about 12 rare birds, animals, and marine life of the Galapagos Islands, Ecuador, South America, that include the Galapagos Flamingo, Red-footed Booby, Flightless Cormorant, and Darwin’s Finches. 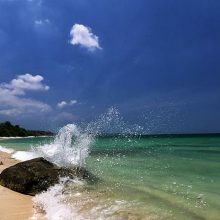 The archipelago’s major islands are now protected as UNESCO World Heritage Sites. 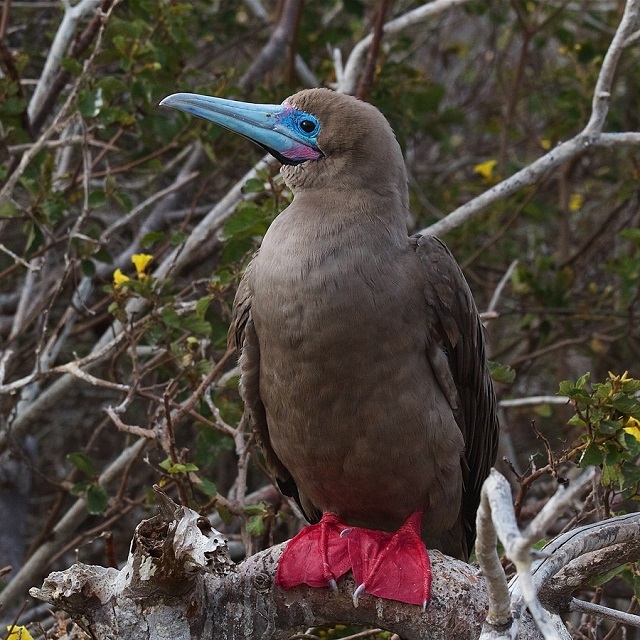 Looking at the beautiful blue bill, I would also call it a blue-billed Booby. The webbed legs imply it is an aquatic bird that preys on marine-life that is abundantly available in the Galapagos Islands. The webbed-foot is all blue and the body is in snow-white. Both the colorful Booby species are children’s favorite. 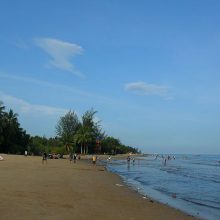 They live in large numbers and don’t fly too far away from the beach. I suppose they are contented with the small fish and crabs found closer to the shore. 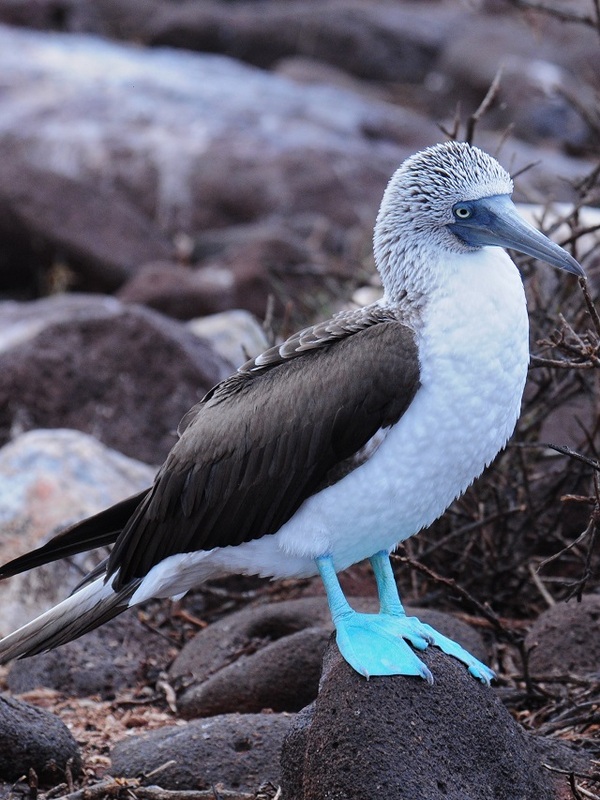 During the mating time, the Blue-footed Booby’s make some dancing movements if you can call that after watching the video below. Oh, My Goodness! It doesn’t look like a normal fish at all! Look at the fins that appear as legs! Does the batfish swim or walk under water? The red mouth would scare even a professional aquarium seller-right? 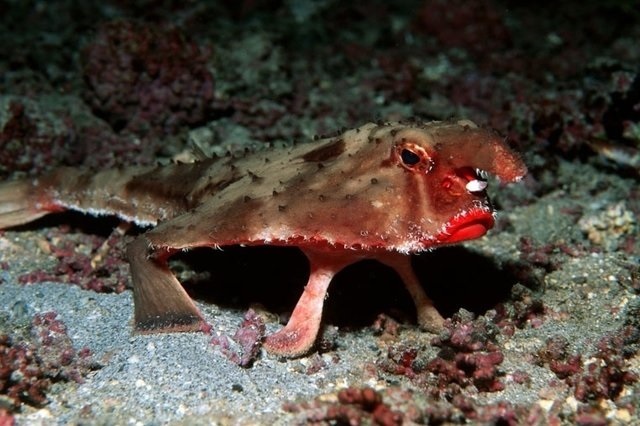 Nevertheless, the batfish fascinates an Ichthyologist. The batfish is not easily spotted even in Galapagos as they feel safe at 200 feet and above depths. 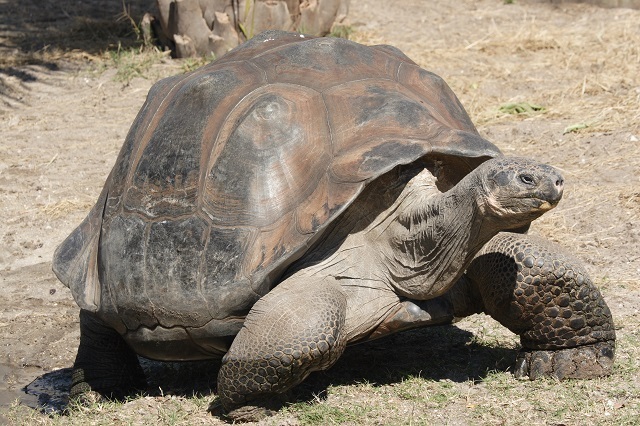 They are endemic to the Galapagos. The snout you see is actually an extension of its spine. Is it an illicium? The Galapagos Islands are only left with less than 1000 of this Flightless Cormorant and hence rated as the world’s rarest bird species. Generally, the Cormorants are great migratory birds which mean they are excellent long-distance fliers. However, since our Galapagos friend is a flightless bird, it must be certainly rare. Look at its eyes! What a green! 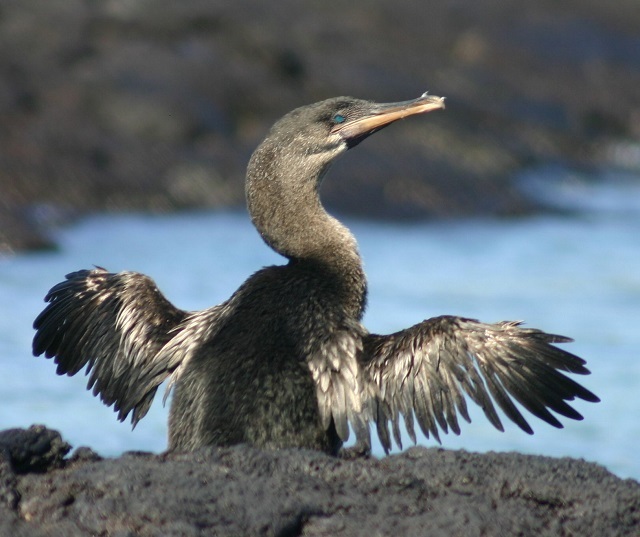 If you want to spot these flightless cormorants in Galapagos, you need to go to Fernandina and Isabela Islands. Finches are easily identifiable by their small beaks. It would remind you of house sparrows but larger in size. 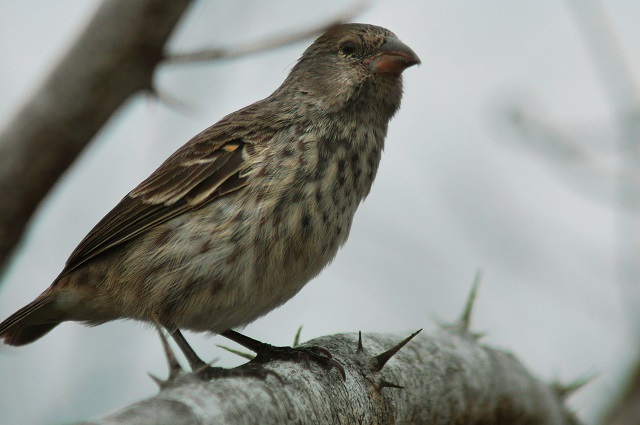 There are about 14 different colored finches are identified in the Galapagos and all of them are called Darwin’s Finches. They are also called as the Galapagos Finches. 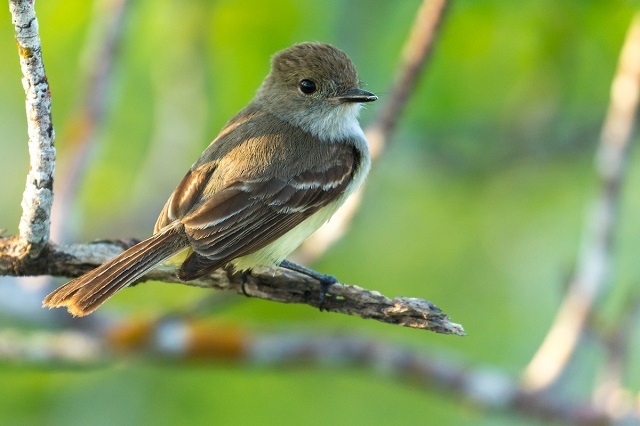 Flycatcher Bird, Galapagos Islands . The color reminds me of house sparrow but the beak is slightly different and a natural tool to catch the flying insects. It is endemic to the Galapagos. The Hoary Bat is a native of Hawaii but also seen in large number in the Galapagos. 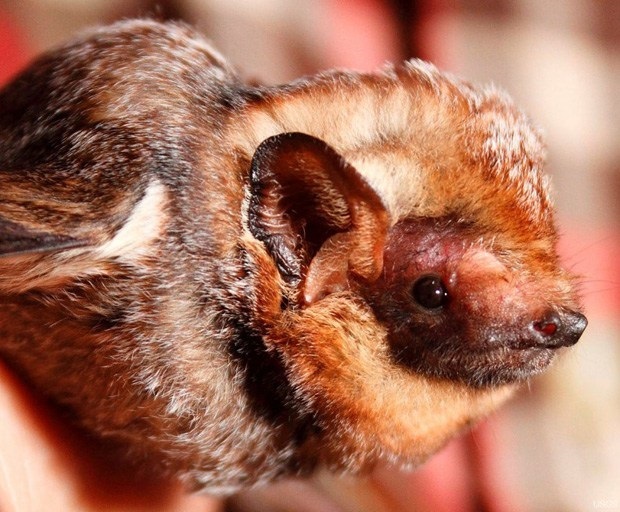 The unique feature of the Hoary bat is its furry upper body. It is not the case in most of the bats. Another unique feature of the Hoary Bat is the habit of hanging down hidden by the leaves. Normally, we see all the bats hanging down visibly. I think the Galapagos Sea Lions look more like Seals. I wonder where the resemblance to lions is. 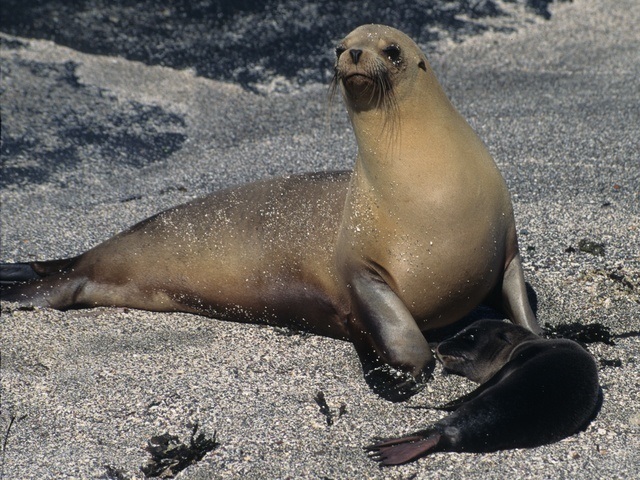 These so-called sea lions are found in large numbers in the Galapagos. They are great swimmers but on land, they move about clumsily. 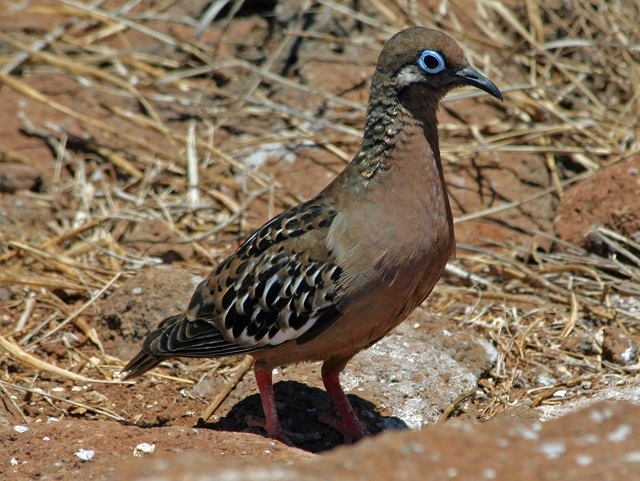 The Galápagos doves are distinct from the other doves by their ringed eyes. Though a visitor to the Galapagos sees them without much effort, the Galapagos doves are said to be endangered. They are endemic to the Galapagos Islands. I wonder what do they like in these Ecuador islands! Unlike a normal dove, I noticed a slightly different beak in the Galapagos Doves. The beak is a little curved downwards. In addition, they are said to be great actors; they lie down feigning as injured when their predators corner them. Whoops! This tortoise looks like a giant among sea turtles that must be living along in Galapagos Islands. This is the first time I see the flaming Flamingo hunting in the water. I saw then once resting on a rock on the shores of a large saline lake in Andhra Pradesh, India. 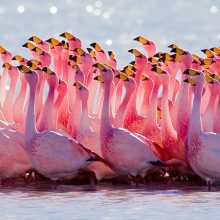 But this is the Flamingos of the Galapagos Islands, mentioned as one of the most endangered species of all Galapagos Islands wildlife. They somehow look gracious when they are preying in spite of their skinny legs. When they are seen squatting with their legs tucked beneath their body, these Galapagos flamingos look absolutely lovely. The strange reason for the color of Flamingos. The flamingos’ diet includes a water-plant called crustaceans that is loaded with carotenoids that is also present in the carrots. These carotenoid pigments are the true cause for flamingos to have reddish pink feathers. I feel suffocated vicariously when I see the flamingos immerse their heads in the water while hunting. This small bird looks very innocent to me and is not capable of mocking anyone. But it does! Did you notice the fairly long legs> It must an elegant walker because of its long legs. 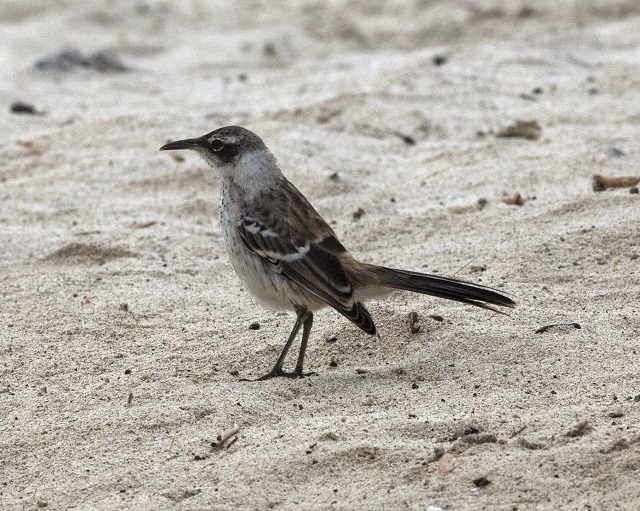 The mockingbird preys voraciously on small worms and insects, seeds, berries, etc. So, which one of this wildlife in Galapagos attracted you the most? My vote goes to the Booby species. Some of these species were beyond my knowledge and i must admit these are really awesome.